Expedition Log Homes knows that even with great service, great design & engineering, and the highest quality materials you need a good contractor to put it all together! Expedition Log Homes knows the value of high quality reputable contractors and builders. We pride ourselves on the service, quality and experience that Expedition Log Homes - Midwest brings to our customers and we are looking for the same thing from the contractors who build our customers homes. We invite you to tour this web site and take a look at what we have to offer. Expedition Log Homes is a custom designed log home company - meaning we allow clients to take one of our floor plans and modify them or bring us their plan ideas. We then design a unique floor plan that is unique to them with our award winning design team. Upon placement of an order with Expedition Log Homes we begin a complete engineering and design program with each client that involves 3 stages of blueprints including preliminary plans, revised preliminary plans, and final construction plans. Please review our standard floor plans at the Floor Plans page on this site. Expedition Log Homes offers clients one of the most complete building packages on the market today. 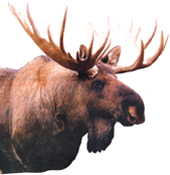 We offer both Full and Half Log Insulated log home packages. Our packages include kiln-dried logs-available in pine or cedar, top quality framing and building materials, Pella Windows & Doors, CertainTeed shingles, I-Joist sub-flooring, trussed & hand framed roof systems, and much more... Please review our complete standard materials list on the Log Home Specifications page on this site. You will find corner options and log sizes, design options, and much more! At Expedition Log Homes-Midwest we are constantly looking for skilled, certified and highly qualified contractors/builders. You are a big part of what makes our customers log home experience a good and rewarding one. Expedition Log Homes wants you to learn as much as possible about who we are as an international log home company and to contact us with any questions at 1-800-426-5647 or jay@logdreams.com. Note - We offer a great client refferal program for clients you bring to us! If you have an interest in learning what it takes to build an Expedition Log Home - Midwest for our clients- we would also like to learn as much about you and your company as possible. Below you will find a builder information sheet to fill out and submit to us. Please be as detailed as possible about you and your company. You will also find a comments box at the bottom of the information sheet - you can leave any detailed information there. 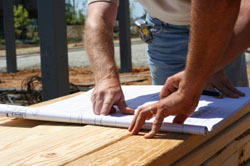 We will contact you with any questions upon receiving your builder information sheet. 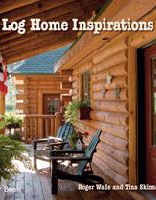 Thank you for your interest in building Expedition Log Homes and we look forward to discussing your future plans. Do you have experience working with log construction? What other log home companies do you build for now (if any)?